12 ï¿½ in x17 ï¿½ in, unframed; 19 in x 24 ï¿½ in, framed. 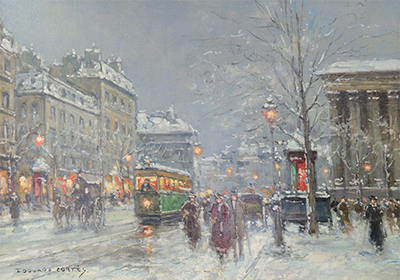 One oil on canvas painting depicting a snowy street scene. Several buildings can be seen surrounding the street which is filled with pedestrians and a trolly.